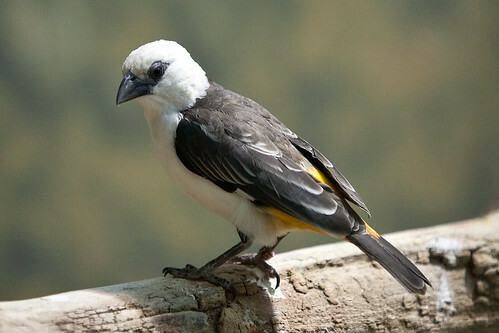 Reaching 7 inches in length, the white-headed buffalo weaver has black wings and tail, an orange rump and a white chest and head. 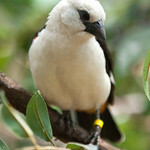 Considered a species of least concern by the International Union for Conservation of Nature. They forage on the ground for insects, seeds and fruit. 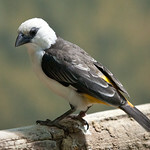 White-headed buffalo weavers are named for their elaborate nests, which they build by “weaving” together thorny branches. 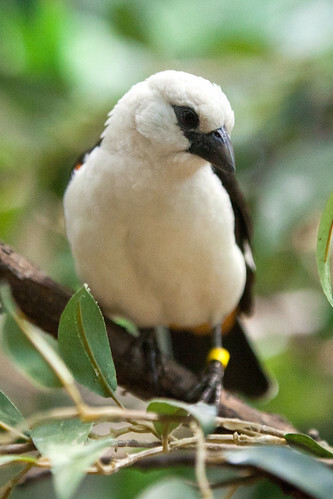 Females lay three–five eggs, which are incubated for 11–14 days. Both parents build the nest and feed chicks.